Also, for serious wizard amazingness you should go to Wizard Spotting by Amity Bacon. My new (cat endorsed!) 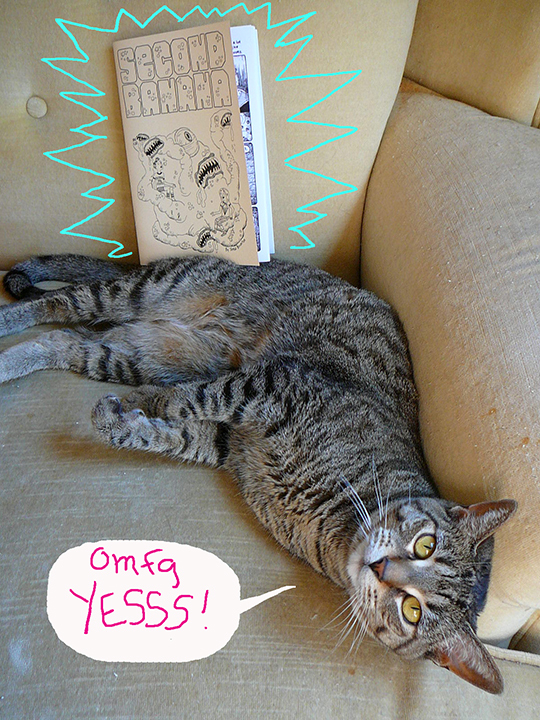 mini-comic Second Banana is now available online, you can pick up a copy here! It's 12 pages (not including a spooky bonus section) rehashing more of my family's personal business. In particular this little comic is about having a very bright, influential and nerdy older brother whose fascination with H.P. Lovecraft, demons and ghosts had unintended consequences for our relationship. Also, I'm trying out a new system of using Etsy as my online store, if anyone finds this extra step annoying let me know, feedback is welcome! 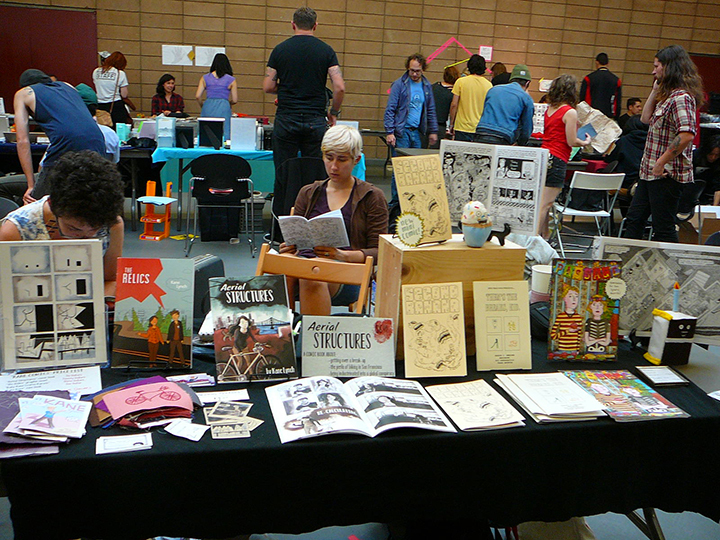 In other news San Francisco Zine Fest last weekend was lovely and exciting. Cookies, wigs, comics, and lots and lots and lots of talking. 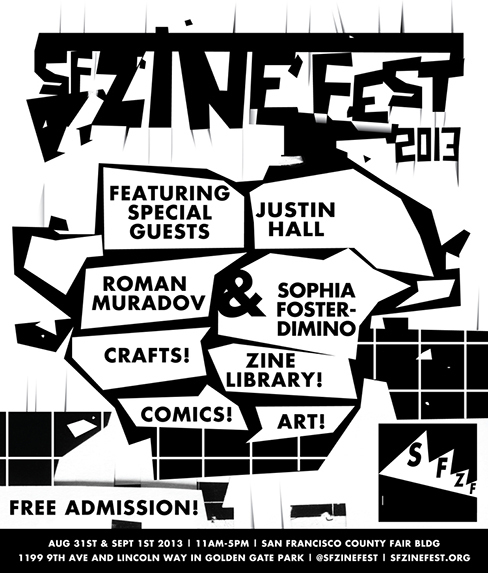 I tabled both days (first time in a while! wohoo!) so I was extra excited Sunday to just sit in that hot, chaotic little nest and bask in the creative joy/angst/hysteria. Thanks you guys who came by for a hello! It was truly a delight. I haven't dug into my pile of new comics and zines yet, but Saturday night I read Jason Martin's new book Driftwood City in one sitting and really loved it. Much recommended!